"A little girl is happy to go on a walk with Grandma, but Grandma is a such a slowpoke She stops to point out, listen or observe the different creatures they meet, sharing her knowledge with the child. At the river, it is the little girl who spots a little muskrat Grandma didn't see. 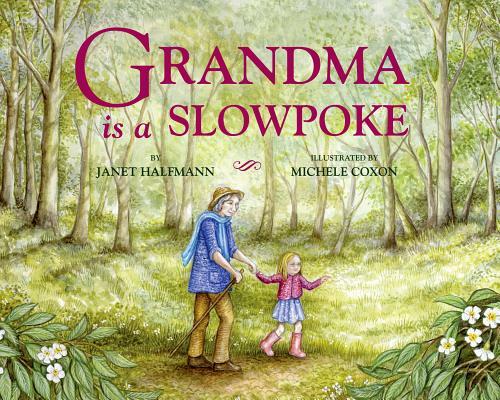 Grandma Is a Slowpoke is a simple story that delivers a powerful and joyous message to young readers (and adults). Let us pause, stop and be present with the creatures around us, because there is no hurry. Janet Halfmann's loving attention to animals and nature brings the delightful nature story to young children. Michele Coxon's beautiful fine color brush brings life to the creatures on each page, and makes the animals so endearing.